Functional and beautiful, nothing compares to the Florence All-Weather Woven Wicker Chaise Lounge for your poolside or beach seating area. 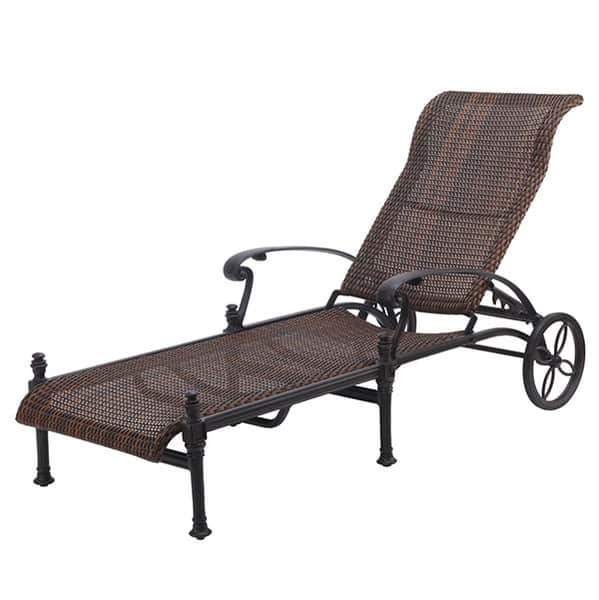 Chaise lounges are great pieces of Patio Furniture, granting multiple uses; guests will love the ability to lie back and soak in the sun's rays, or sit up to read a book or join a conversation. And this chaise is built to last for decades. Gensun starts with commercial-grade aluminum that's powder-coated six times for strength and all-weather use. This creates confidence in the quality of these pieces, allowing Gensun to offer a 15 year warranty that's abnormal in the patio furniture industry. W 69.3" x D 29.9" x H 48"